2015 is here, and we are happy to continue sharing inspiring user stories with you. Hope your first days of the year are great and you are ready to unleash your creativity, and use cases from our users are here to give you some inspiration. Today’s hero is Christopher Means, Project Lead at Fallout: Lonestar who developed a game with remote team. He told us about the organization of teamwork and shared the project workflow. Read this amazing story below. And make sure you read our fresh post on the future of remote work and collaboration. A proof-of concept modification called Fallout: Lonestar, www.falloutmagnifico.com (www.facebook.com/Fallout.Lonestar). Actually, this is the game developed by Fallout fans and you can see a quick summary of the project in our Diary. Members of this project are dislocated – we have a remote team. I’m in Olympia, WA, but they are in Las Vegas, Boston, Philadelphia, Wisconsin, San Diego, Finland, Mexico, Poland, and Belarus. 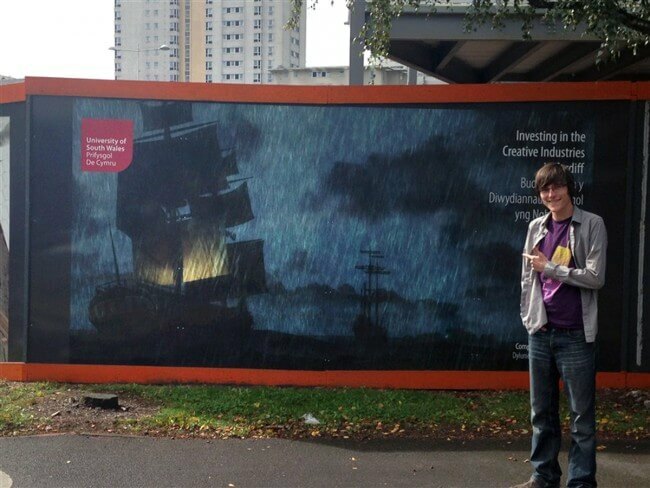 As project lead, I have to maintain the creative direction of the game across a number of cultures and backgrounds. A place where anyone can look at the big picture is invaluable. 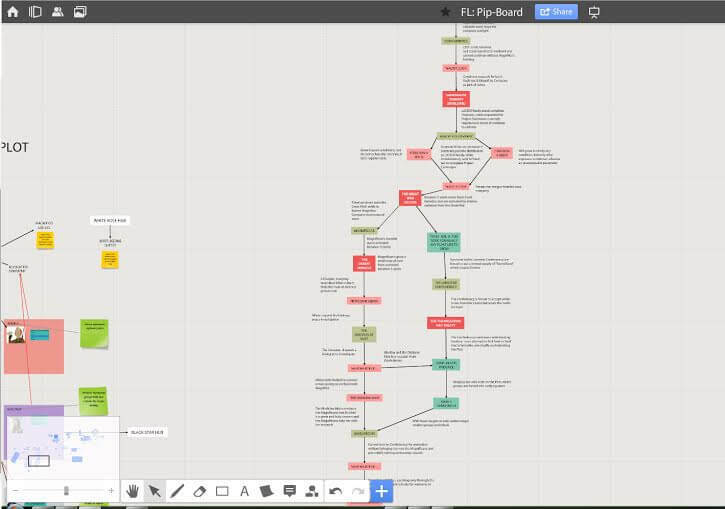 So we use RealtimeBoard to map out story structure, maps, and other “big picture” issues. What is the team workflow? How do you work together on the projects? The production is broken into various disciplines: Writing, Concept Art, 2D Art, 3D art, environmentals, etc. 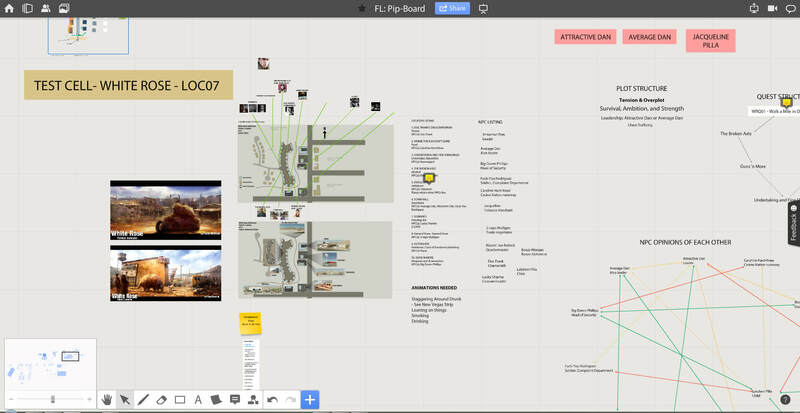 A forum is used to distribute needed assets and discuss direction, then the RealtimeBoard is used to keep track of the game as a whole. Fallout: Lonestar is a story-focused multi-path sandbox, so continuity and story flow are very difficult to track. How do you use RealtimeBoard for your project? 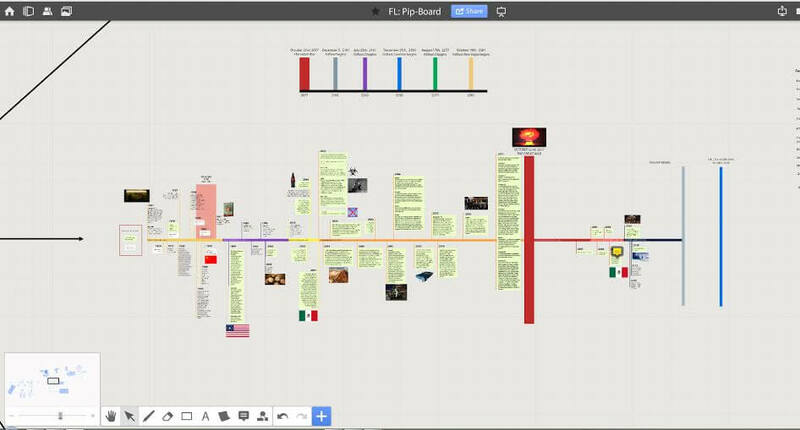 We use it to track story threads, map layouts, timelines, character interaction grids, and area designs. Emails & Trello. Unfortunately, Trello didn’t allow for larger views of the project as a whole and it became another step in a process already drowning in additional steps due to its online nature. Now, the process functions very much like the investigation board of any number of detective shows. We can look at the project as a whole and see how it shapes up. However, it does seem to work more with visual learners than not, as I’ve had some problems getting people to use it when they prefer outlines, etc. What advice could you give to our users? Maybe some productivity tips? Play with the program. Doodle, make things for no reason. It can do a lot more than you think and you won’t know until you’re already messing around with. Have something to share? Let us know in the comments below or reach us at feedback@realtimeboard.com. We are always happy to hear from you! Want to learn more? Read the story and learn how RealtimeBoard helped Wayward Ventures game developers keep up the progress and stay on track.